In September, The Duke Energy Foundation with added support from The Hazel and Walter T. Bales Foundation generously supported a series of student matinée performances September 25-28 of Commonwealth Theatre Center’s The Ugly Duckling at the Ogle Center on the campus of Indiana University Southeast. 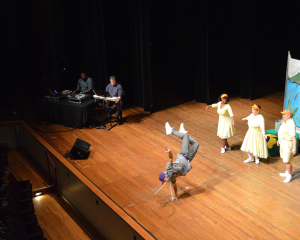 Thanks to The Duke Energy Foundation’s commitment to enrich the lives of young people through organizations like CTC and with crucial help from Bales Foundation, student matinée tickets were offered free of charge to schools, home school families, and the public. 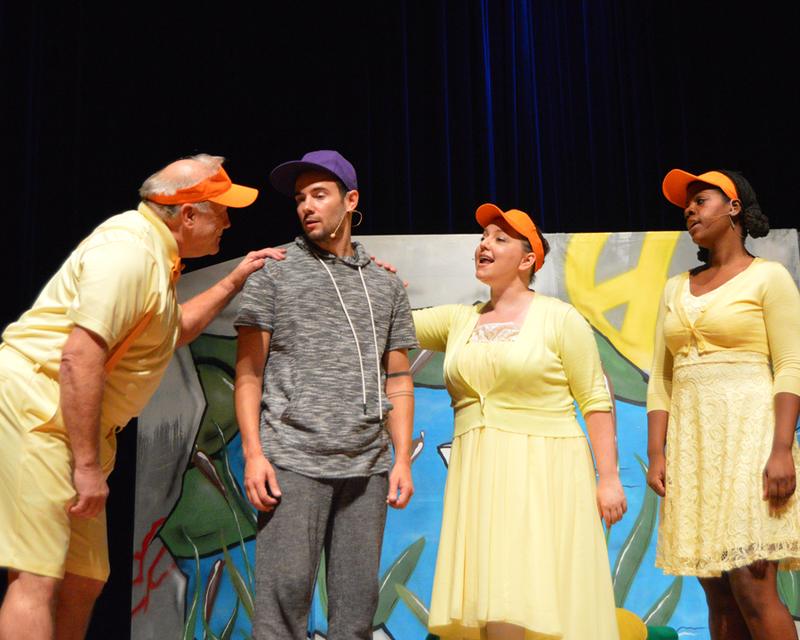 Performances drew large crowds and leveraged the community reach of both the Ogle Center’s Children and Family Series and Commonwealth Theatre Center’s Blue Apple Outreach touring production. 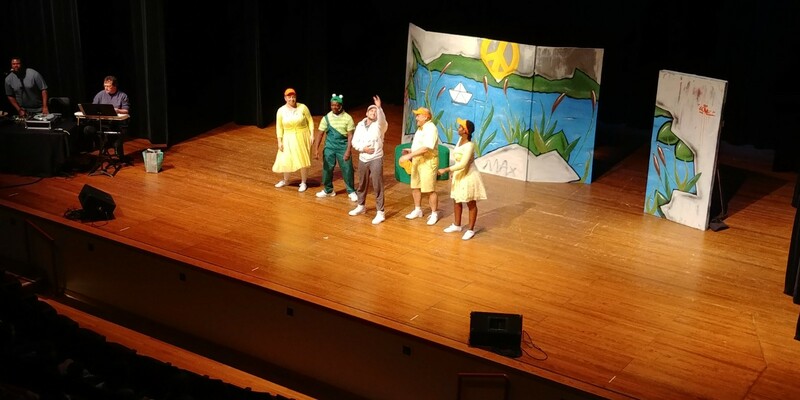 In addition to the Ogle Center performances, The Duke Energy Foundation is also bringing The Ugly Duckling to Southwestern Elementary School in Jefferson County, Indiana, to be performed at Hanover College. 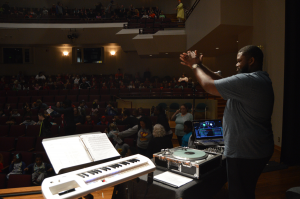 CTC and all the children, educators, and families who were able to attend the performances wish to extend a warm thank you to The Duke Energy Foundation for a grant of $5,400 and Bales Foundation for a grant of $5,000. Partnerships like this one between CTC and Ogle Center often require collaboration with multiple funding sources. The Duke Energy Foundation and Bales Foundation have been great stewards in supporting programs that’ve had an immediate and lasting effect on the lives of young people and it is rewarding to the entire community to have such allies! For more about the play and for images and testimonials, please read on below. This musical adaptation of Hans Christian Andersen’s classic begins with a comical egg-hatching ballet and ends with an empowering message of acceptance. In between, our protagonist is rejected from his duck family for being “different” and sets out to learn who he is and where he belongs. Featuring a fresh score that incorporates rap, this version stays true to the lesson that everyone’s entitled to acceptance and love – though sometimes those spring from unlikely places.